A new murder mystery hit the big screens in 2013. 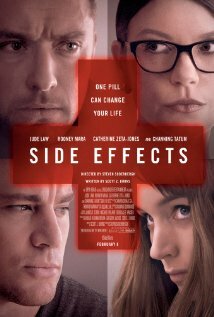 The movie Side Effects promises to keep you on the edge of your seat trying to guess who is actually guilty. The tale is exceptionally well woven on screen. One of the main characters was supposed to have taken some kind of medicine that made her kill. However, there is a good chance that she honestly did nothing at all. You will just have to find a copy of the film Side Effects to watch for yourself. This is an R rated movies so smaller children should never watch this film alone. To learn more about the movie, you need to go to http://www.imdb.com/title/tt2053463/?ref_=sr_1 . Side Effects gets a four out of five popcorns rating.